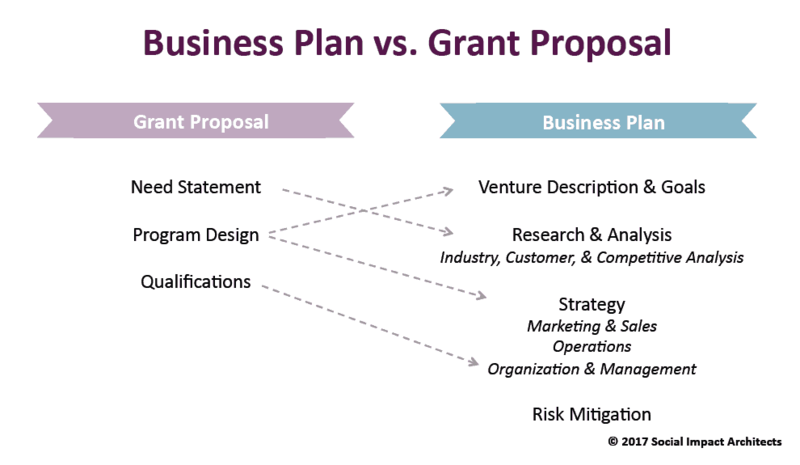 Last week we wrote about the similarities between business plans and strategic plans, and how a “strategic business plan” may be the sweet spot for many nonprofits. But, one of the questions I frequently encounter at my training sessions is, “I’ve never written a business plan; how do I start?” In fact, just last week, while teaching at Interact for Health in Cincinnati, Ohio, that question came up. And my response was this: “Have you written a grant?” The answer was a confident yes from the audience of nonprofit professionals. Then, I explained that if you have written a grant, you are halfway to writing a business plan. With this statement alone, I could feel the tension in the room dissipate. As more nonprofits consider starting for-profit business ventures or want increased sustainability for existing programs, many are being asked by funders to write business plans, prospectuses or business pitches that build the case for support and force discipline around venture creation. While business planning may seem foreign and corporate, we believe that business plans and grant proposals are not that different from each other. In grant proposals, nonprofit organizations typically start with a statement of need that highlights challenges facing clients, the extent of barriers and the scope of the issue. Similarly, business plans cover the needs of customers in the market research sections, which includes an analysis of the customer, industry (also called the environment in the social sector) and competition. In this phase of business planning, ventures will illustrate the estimated need for their proposed product or service and show the industry and competitive conditions that will affect the success of the venture. In later sections of grant proposals, organizations provide an overview of the program’s design and demonstrate how the intervention uniquely meets the client’s needs and reduces barriers to their receipt of assistance. (See our Lean Start-up for Nonprofits for some tips on how to do this effectively.) Similarly, business plans contain a venture description, guiding principles and strategy that show how the proposed product or service will uniquely fulfill customer needs or desires. In addition to showing that your nonprofit organization is implementing a best practice or promising program in a grant proposal, you also must demonstrate to funders that the organization and key staff are qualified and have the right experience to execute the proposed activities. Organizations typically highlight how long they have been serving their clients and the professional expertise of their staff. Likewise, in a business plan, the organization should highlight the specific qualifications, expertise and previous successes of key staff to demonstrate competency to investors. We are excited to see the growth in nonprofit organizations considering entrepreneurial ventures as well as more sustainable programming, and we urge you to jump into the business planning process with the confidence of years of grantwriting experience in your pocket. To make it even easier, check out the latest version of our business planning template. With transferable skills, professionals in the social sector are highly equipped for this challenge, and we want to thank TrendSpotters at our recent training for inspiring this blog. We’d love to hear your top questions on business planning – we’ll answer them in a post later this month.